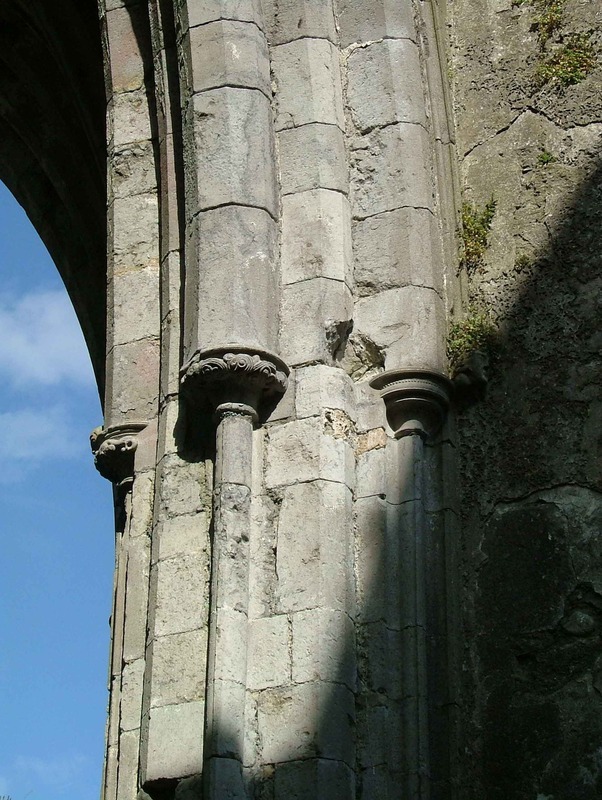 “St Patrick's Cathedral, Cashel, Co Tipperary, interior - crossing capitals,” Gothic Past, accessed April 20, 2019, http://gothicpast.com/items/show/1406. Photograph by Roger Stalley. View of three crossing capitals on filleted shafts between chamfered arch mouldings. One is a bell capital with nailhead decoration, the others have stiff - leaf foliate designs.